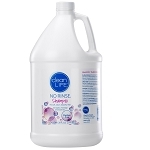 CleanLife Products manufacturer of No-Rinse® bathing products. 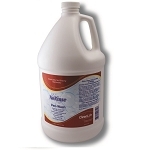 No Rinse products provide a comfortable alternative to traditional bathing methods. Easy to use shampoo, body bath, body wash, bathing wipes, do not require rinsing. Helpful products for daily skin care. 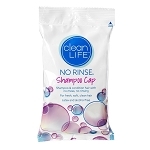 Caregiver Products is proud to offer these helpful, alternative bathing and hair care products from CleanLife No Rinse. Ready to use body wash bathing solution, does not require water or rinsing. Produces a gentle bathing solution that does not require rinsing. 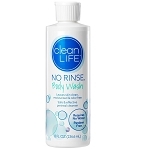 Waterless bathing solution, safe for sensitive skin, no rinsing required. 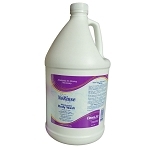 Concentrated, gentle basin bath solution that does not require rinsing. 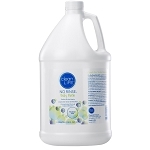 Helps cleanse hygienic areas, leaving users feeling fresh and clean, odor free. 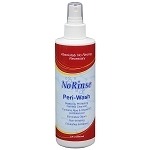 No Rinse Peri-Wash 8 oz. Specifically formulated for incontinence and ostomy care. Alcohol free conditioner detangles, adds body, leaves hair easy to manage. Ready to use shampoo - no water needed, helps caregivers provide hair care for users who have difficulty bathing due to illness, Alzheimer's, limited mobility. Caps transfer shampoo and conditioner directly to hair and scalp. Waterless shampoo leaves hair fresh and clean, no rinsing required.